The courthouse in Dudley serves the Worcester County towns of Sturbridge, Southbridge, Oxford, Charlton, Dudley and Webster. Route 90 crosses this jurisdiction as does Interstate 84. For a rather quiet, rural jurisdiction the amount of drug cases that pass through this court is incredible. Our Boston office is about an hour and a half drive to the town of Dudley. Yet despite the distance we are retained on several serious drug cases in this court each year. 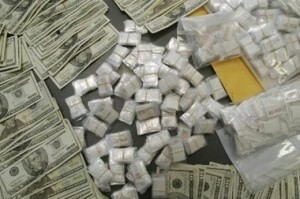 Most of these cases involve drug trafficking; usually heroin and sometimes cocaine. While Dudley District Court is where many drug trafficking cases originate, most are resolved in the Superior Court in Worcester. Recent observations about the origins of many of our Dudley drug cases has prompted me to publish this post. Over the years we have noticed an unsettling trend regarding the stops made on Route 84. The people we represent on these cases are usually Hispanic, sometimes Black and rarely Caucasian. With very limited exception our clients tell us the same thing; that they were travelling along Route 84 from New York or places farther south. Their travels were smooth until they reached the Massachusetts border. Route 84 ends about seven miles from the Connecticut state line where it connects to the Massachusetts Turnpike, Route 90. Somewhere in that short stretch these people are stopped, usually by the state police. The reason for the stop is typically a motor vehicle violation that is difficult to disprove such as speeding, unsafe lane changes, driver apparently texting and similar offenses. Then the car is searched for some concealed pretextual reason. Drugs are found, and arrest is made and criminal charges issue. How Can Racial Profiling Motor Vehicle Stops Be Proved? At least for now, the state of the law in Massachusetts makes proving a racial profile stop improbable. A defense attorney would first need to file a motion to access records of all motor vehicle stops on Route 84 for a particular period of time. The motion would be opposed by the district attorney’s office and the police agency storing the records. Even if the records were accessed many of them would not be helpful. For instance, if no criminal charges were brought the only record available might be a citation. This document would not indicate the color or ethnicity of the motor vehicle operator. It is equally frustrating that that document would give no indication as to the existence of passengers and their race. Perhaps the recent public outrage over police brutality might remedy this situation. The recommendation that police officers wear body cameras might help to restore public trust in law enforcement, particularly in the minority communities. This would either reveal and prove the racial profiling trends or force law enforcement to honor and respect a person’s constitutional rights. Attorney Stephen Neyman has been fighting for criminal defendants for nearly three decades. No case is too difficult for us to defend. If you need a criminal attorney call our office at 617-263-6800 or send us an email. Start your defense now.